CHAUCER PLAGIARIZED MUCH of The Canterbury Tales, and most of Shakespeare’s narratives existed long before he put ink to paper. Adaptation and reinvention run alongside the greatest artistic pursuits, and it has long been a skill of fine artists to steal for the purpose of making something better and different. 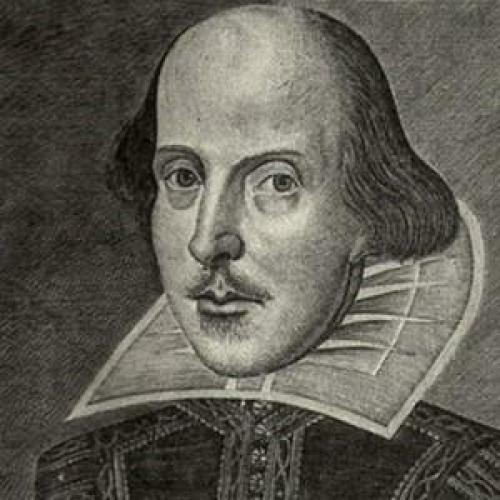 It is especially daring, though, to try and rewrite Shakespeare. Many have done so: Endgame, Samuel Beckett’s apocalyptic reimagining of King Lear, is so different from the original play that you have to squint to find the tyrant, just as Tom Stoppard’s Rosencrantz and Guildenstern Are Dead capitalizes on the most significant themes of Hamlet while remaining an original and independent work. An adaptation must be recognizable, paying homage to its source, but it must also be its own. Iago splits its narrative between the first person diary of Gentile Stornello, a troubled intellectual son of the Venetian nobility who laments his lack of athletic ability and walks around quoting Dante, and the third person account of the search for the escaped Iago. There is a Capulet-Montague split between the Stornellos (Desdemona’s family) and the Malipieros, another equally wealthy Venetian family. The state-appointed interrogator, who prefers psychological to physical torture and is known as Il Terribile, tries to unravel the wrath of Iago and pin him down along the Cyprus countryside. How much terror Iago is responsible for one can only guess, and there is speculation that he is conspiring with the worst elements of the Ottoman Empire. Of course there is a love story, and it classically transcends class when Gentile Stornello falls for the servant girl Franchesina. Lodovico places the heroic Roderigo temporarily in charge of Cyprus (Yet in Snodin’s novel, Lodovico loathes Rodrigo for much of the story), and leaves for Venice, and the play is over. There may be something noble in what Snodin has done if his effort was meant to tempt readers into revisiting the work on which it is based. Still, his predecessors in the commercial Shakespeare business were more careful not to lose the heart of the play. In the teen movie O (2001), inner-city high-schoolers recreate Othello with pumped up racial drama and raging hormones. Critics rightly picked through the movie to find gross inconsistencies with its source, but at least the psychological drama of the play and its most crucial themes did not get lost, even if Othello was a high school basketball sensation. Clueless was a mall-hopping version of Jane Austen’s Emma, and among the nail glitter and hot pink lipstick, there was something very substantial carried over from the novel. Snodin should have been so careful. Much of Othello is still left to critical interpretation, and Snodin makes obvious his take on the play’s most scholarly questions. Racism in the play is a much-contested issue, as is the true motivation that drives Iago to such evil. On both of these issues, Iago takes a hard, unsubtle line. Iago was in love with Desdemona, which is the only reason he took a position under Othello’s command in the first place. His own jealousy of the Moor led to his eventual undoing. A Stornello asks him, “You married [Bianca] only to find your way into Desdemona’s confidence.” “Of course,” Iago replies. And race plays a much greater role in the novel (“Why was he so black?” asks Franceschina) than it does in the play, making clear that the color of Othello’s skin must have been an instigating force of Iago’s hatred of him. But the facts of the new story are lost in Snodin’s tireless need to make his “stance” on the themes of the old story known. Speaking of Cassio, one character says, “Yes, I recall it now. It was on your second visit. He was a soldier too, and an excellent one, or so the Moor told me.” A few pages are then dedicated to how much both Desdemona and Othello revered Michele Cassio. Moments such as this are sure to bother anyone even vaguely familiar with the play, since we already know that Michele Cassio was a great soldier, and that Desdemona admired him. To read pages in which characters search for the names of some of the most famous characters in literary history (“Michele was his first name…but the second was almost latin…”) is tiresome. No matter: efforts like Snodin’s are sure to keep arriving. But do classic works really need to be revised? An audience member at Richard III in the seventeenth century must have had a very different perception of the king born with teeth than an audience member at the same play during World War II, while Hitler was ravaging Europe in much the same way as the play’s protagonist. Just months after the US-led invasion of Iraq, American representatives at the World Theater Festival chose to stage King Lear. The international audience was stunned not by Lear’s ignoring the honesty of his youngest daughter, but by how much the king seemed to resemble George W. Bush. Changing works of great beauty is a difficult endeavor, which is why it is worth remembering that those works do not always need to be changed. The audience changes on its own. Jeanie Riess is a literary intern at The New Republic.